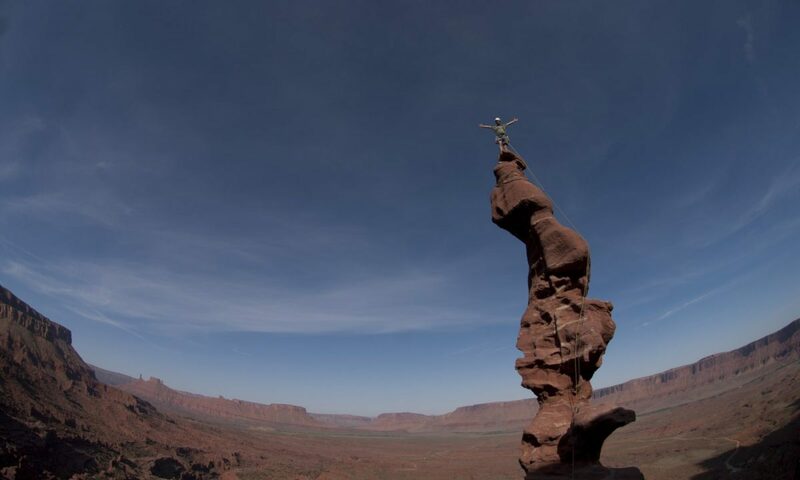 Recently someone posted this article on UKC, printed in the New York Times, now you should instantly question the scientific validity of a journalist perspective on what in all likelihood is a review of a review of stretching. Whilst I don’t doubt Gretchen Reynolds scientific credentials, I do question her academic integrity, after all her editor wants ‘good’ copy, rather than a in depth analysis of all the stretching literature. I suspect that whilst much of her advice is true, a look back at the research, and the actual findings bring much of the context into when that advice is actually applicable. Like most thing in life there are several caveats that can and should be applied to general laws or rules that are often applied to stretching. In the NYT Article there are several points made that can be argued reasonably easily with a brief overview of research literature, however many of these are perhaps taken out of context, and may only apply to the Olympic athlete. Now whilst this is true, we are only talking about a 2% to 5% reduction, these studies have only look at weakening directly after stretching. So unless you are an Olympic athlete about to go for gold then does such a small drop in performance really make than much difference to you. In direct opposition to this stretching reducing muscle strength, is that if stretching is performed regularly, but not immediately before activity. Has been shown to lead to a 2% to 5% increase if strength if carried out regularly. There is a great quote from the NYT article about stretching and injury prevention. This highlights one of the problem when it comes to interpreting scientific research. This statement however true is questionable because how do you expect stretching to prevent stress fractures, the only type of injury stretch might be expected to prevent can surely only be a skeletal muscle or soft tissue injury. Interesting the same military study did conclude that soft tissue type injuries were significantly reduce. Again research points towards different effects regards when you stretch. So stretch immediately before activity has little to no effect with injury prevention, however regular stretching not prior to exercise has been shown to reduce soft tissue type injuries. At present it would appear that warming up prior to activity is key, in that its purpose is to help increase heart rate, dilate the capillaries, warm up the muscles and speed up nerve transmissions. Current research suggest that prior to a main activity then stretching might not be of benefit for injury prevention and may reduce muscle strength. However a small increase in muscle temperature has been shown to reduce the likelihood of a muscle tear in isolated rabbit muscles. In terms of warm ups the current thinking is working between 40-60% of you maximum for as long as it take you to develop a light sweat. It will take a fitter person longer to achieve a warmed up state than a less fit person. An alternative to jogging or light exercise is a passive warm up that might take the shape of a hot bath or shower. It may not be advantageous to stretch immediately prior to activity, as it doesn’t help prevent injury and reduces muscle strength. Using stretching as a general activity, when not training can increase you range of motion and help reduce injury. Warm up before any activity session. For more information on warming up and stretching try visiting how to climb harder. Before we go into the PETTLEP model it is probably best that we look at what imagery can be used for. 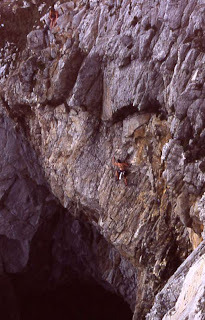 In the most part climbers use imagery or visualisation to imagine themselves climbing a route. It ‘function’ is to aid sequence memory and improve performance once on the route. There are many other functions that imagery can be used for, like anxiety reduction, increasing confidence, aiding recovery from injury and aiding other mental skills. If you see what you are imagining as a stimulus, then the function is often a combination of the meaning you attach to that stimulus and the response you give to it. Given time it is possible to control the stimulus, meaning and response to imagery. The way that you can start control your imagery is through using it regularly, which has been shown to be around 15 minutes a day. Each one of these will have certain considerations based on the sport, person, aim of the imagery intervention. 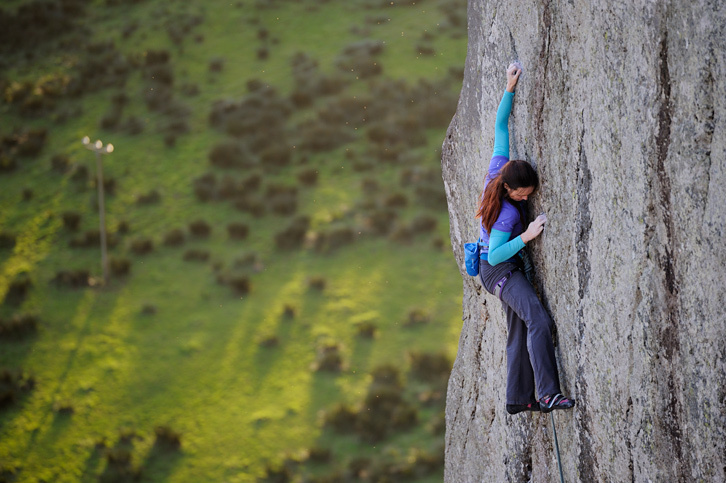 However for simply visualising boulder problems research into climbing, and specifically bouldering points towards several key things that will help aid imagery. The first thing was discovered by my MSc supervisor Nicky Callow and Lew Hardy (1999, 2005) from SSHES, University of Wales Bangor. 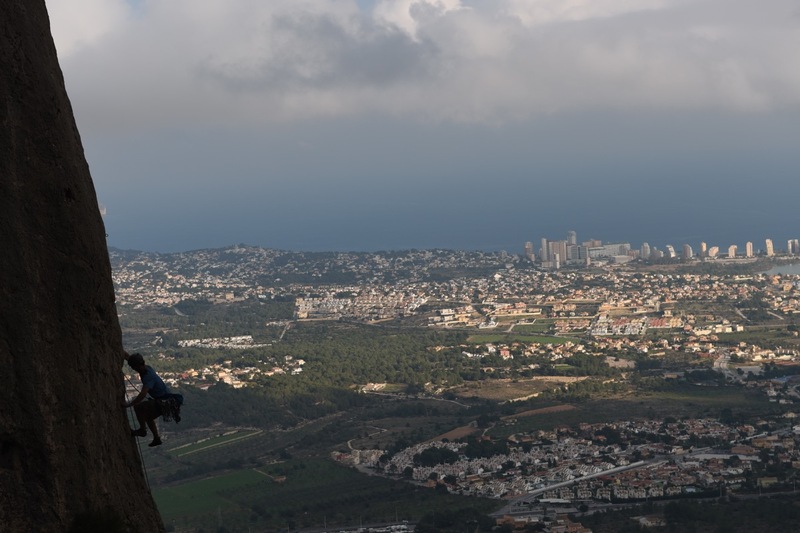 What they found was that in bouldering tasks an External Visual Imagery Perspective (that is as seen by a documentry crew filming you) was better than an Internal Visual Imagery Perspective (seen through your own eyes). However better still was EVI with Kinesthetic Imagery (imaginging how it feels) was most effective. They also found that for people with a higher imagine ability had more positive effect, and that whilst climber with lower imagery abilities didn’t benefit from the performance effects of Kinesthetic imagery they did find it increased there confidence in the task. 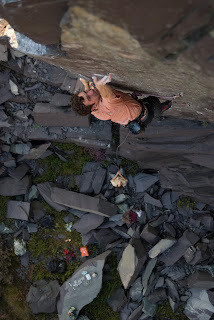 It not just as simple as that though as Craig Hall (1997) another one of the oracles of modern imagery research, believes that whilst research does point to various sports like climbing have a perspective that best suits the physical nature and type of task. The individual athletes preferred perspective needs to be the first consideration. Hall, C (1997) Lew Hardy’s third myth: A matter of perspective. JASP, 9. Hardy & Callow (1999) Efficacy of External and Internal Visual Imagery Perspectives for the enhancement of performance on Tasks in which Form is Important, JSEP, 21. Hardy & Callow (2005) An Critical Analysis of Applied Imagery Research, In Handbook of Research in Applied Sport and Exercise Psychology: Internation Perspectives, WV, USA, Eds. Hachfort, Duda & Lidor. Do you Dream of White Horses or is it just a Goal? 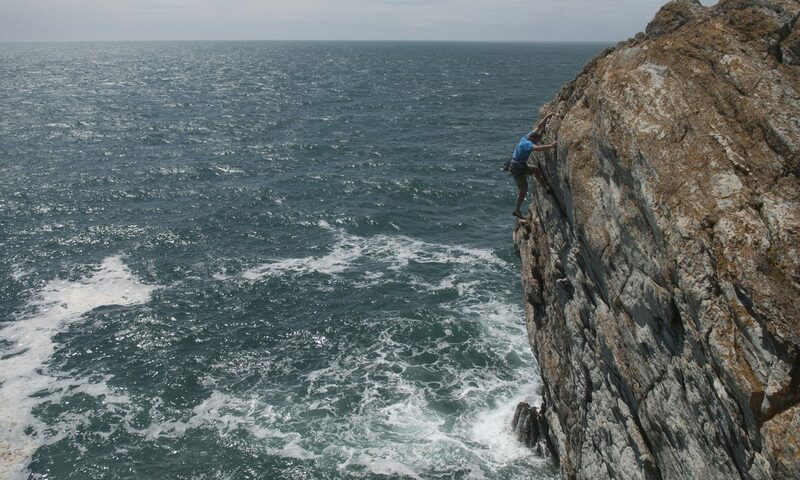 We all have a dream, whether its to scale the 3000ft vertical cliffs of El Capitan or something closer to home like traverse across ‘A Dream of White Horses’ at Gogarth. Whatever you dream is there are various strategies to set yourself goals, some of which are more effective than others at helping you reach your Dream. So when is a dream just a goal, and how can you turn that Dream of White Horses into reality. The psychologist have looked at goals in a variety of ways, to start with though they categorised them into different types of goals which are. 1. Outcome Goal or Dream – The final goal or dream – e.g. Climbing Dream of white horses. So whilst for instance having a Dream Goals is important to make sure that there is a light at the end of the tunnel that is your training program. The important thin g is the proximity of that Dream. Too far away and the light at the end of that tunnel is going to be awfully dim for an awfully long time. The worry is that this goal will just seem too far away, and rather than direct your attention and effort towards reaching it, you will find that you disengage from attempting to achieve it. A dream goal needs to be close enough that it feels achievable in the medium to long term. 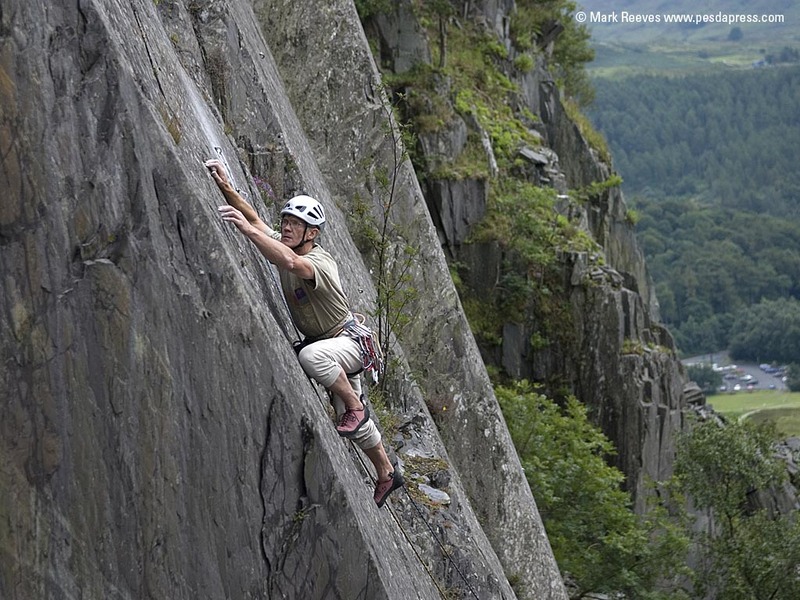 So whilst you actual dream might be to climb Right Wall on Dinas Cromlech, you might find that that simply isn’t achievable in a year, as such you end up setting more overt mini dream goals with Right Wall being a more covert one, at the back of your mind, with the mini goals making stepping stones across each few months and eventually you’ll reach that major goal. 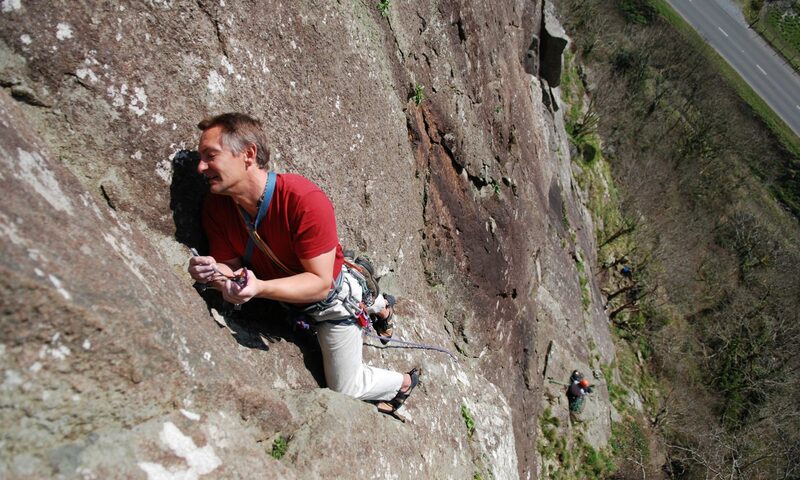 One of those mini dream goals might be a performance type goal, like climb at least 10 routes of E4 over the summer. The important thing to remember is this goal proximity, if you are close to achieving a goal then the behaviour that you have towards that goal radically changes. 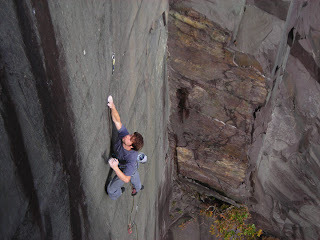 The best example I can give is a bouldering one. Imagine there are three problems, one you complete easily, the next you find impossible and will takes week to work out and develop the strength require to succeed, the third problem is just out of you ability to link, you can do all the moves and you believe it is possible. 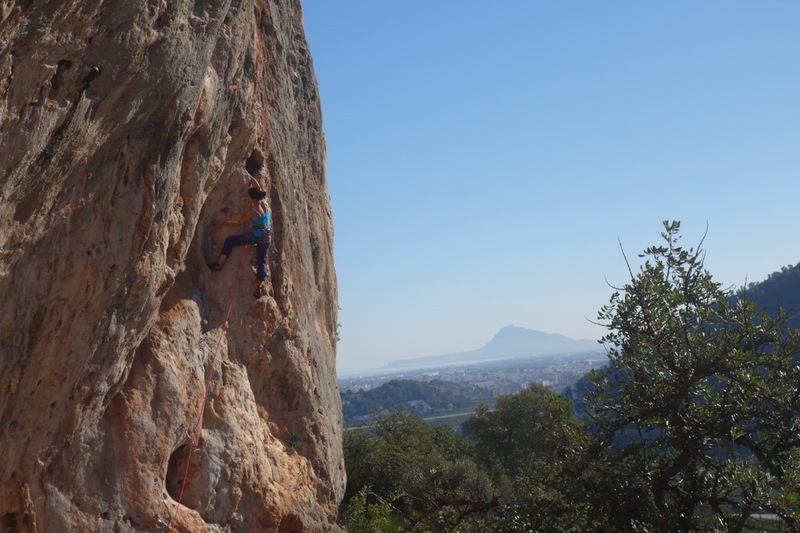 What you’ll find is that the effort and mental attitude you towards achieving the third boulder problem will be far more intense than, if you find something too easy or too hard. The last type of goal I want to talk about is the process goal. These are the most powerful types of goal you can set yourself. Unlike the Dream or performance goal, which offer a distance focus on the horizon, something to look forward to if you like. However what is a goal like “I am going to climb ‘A Dream of White Horses’ this year”, actual going to do to help us actually achieve it. This is where the process goal comes in, where if you like you think through the processes that climbing your dream would involve and set many mini goals that build up your skills, confidence and fitness to eventually reach your dreams. Often this setting of specific, measurable, attainable, realistic and time specific process goals is where people fail on there training regime. Often running head long into a regime of fitness training when maybe all they need was to work on their technique and ability to read routes! 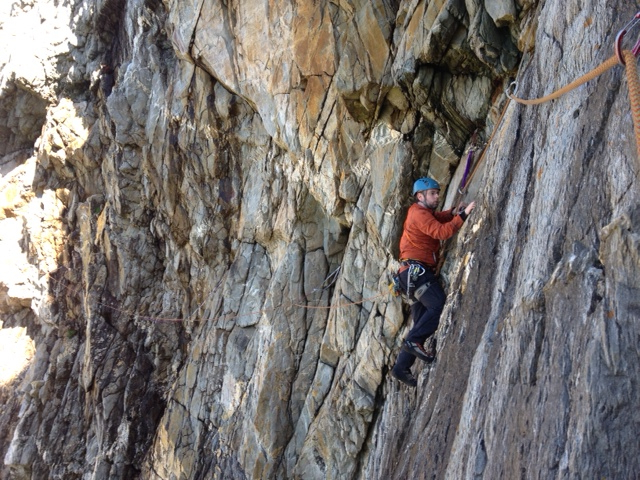 This is where the help of a coach can come in useful, assessing your needs and setting goals can be done through our online coaching or alternatively we can coach face to face or via Skype visit how to climb harder for more info.